What’s that in the sky? Is it a bird? Is it a plane? No, it’s Superhero Dad! 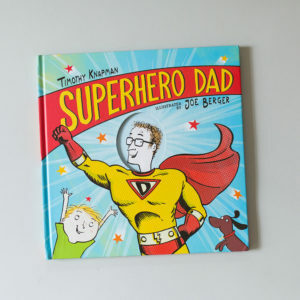 From bestselling author Timothy Knapman comes a soaring tale of a father-son duo that’ll put Batman and Robin to shame. 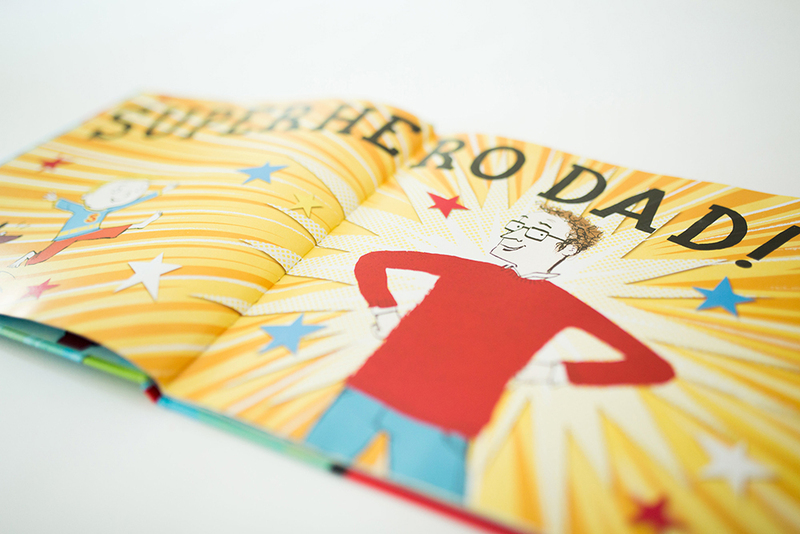 Forged in partnership with illustrator and cartoonist Joe Berger, Knapman’s Superhero Dad celebrates the small moments in childhood that transform a normal father into an extraordinary figure. 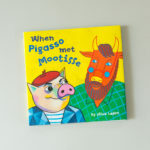 This book reminds us all that it’s the little moments of presence that make a difference in your child’s life. Superhero Dad does all kinds of thoughtful, silly things with his son, from heaving the tiny family dog above his head a-la Lion King, to showing up in the wee hours to scare away the monsters. Time and again, Superhero Dad steps in to brighten his child’s day with simple, sweet-spirited acts of indulgence, like ice-cream pancakes for breakfast. On the front cover, a small cutout carries huge symbolic weight. It presents Dad in full superhero accoutrements, demonstrating how his young son sees him: triumphant and courageous. The son appears in the bottom corner, cheering him on. But once you lift the front cover, revealing the first page beneath it, you’ll see him as he is: a mild-mannered father, brandishing a heavily bandaged thumb, and sporting a red sweater instead of a red cape. The only things the two have in common are the father’s glasses and the son’s exuberant support. This book delivers a larger-than-life message disguised as its alter ego: a simple father-son bond. With great wit and sincere sentiment, Superhero Dad may not be able to leap buildings in a single bound, but it certainly can tug on your heart strings.